UNFPA assistance began in Chad in 1986 with the rehabilitation of the National Centre for Maternal and Child Health/Family Well-Being. With limited health infrastructures, poverty is widespread and harmful traditional practices such as early marriage are prevalent. 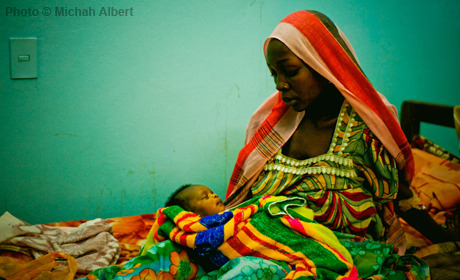 Current UNFPA programmes target reducing the maternal mortality rate, among the world’s highest. They emphasize strengthening capacities at the Ministry of Public Health, including through the provision of technical skills, medical equipment and reproductive health commodities. UNFPA also assists in improving the training of gynaecologists, obstetricians, and midwives, essential to providing quality services.